Boxboy is ranked in the 76th percentile of games scored on OpenCritic. My BoxBoy review code sat in my inbox for about a week. It's not that I didn't want to play it, but the end of March and even the beginning of April was filled with a ton of games that demanded more of my attention. Not knowing what BoxBoy was, I looked up some gameplay videos, and wasn't taken by what I saw. Something about a boy that looks like a box and there are a lot of puzzles involved. I figured, passing on the review at that time was OK in lieu of bigger, more time consuming titles. Now that the storm has calmed, I was ready to finally dive into BoxBoy. After just beating the first world, which took me all of probably 5 minutes, I saw the immense potential. This was a game that isn't gaining any favors through gameplay videos. It's a game you have to play to "get." And it's oh so delightful. The only real downside to Boxboy is that there are so many ideas that I wish some of them were expanded upon more. Each new mechanic really only gets about a half-dozen levels to shine, and each one is so rich that they might even be able to support their own game. Because of that onslaught of fresh ideas, Boxboy never gets boring, which makes it a fun experience for your 3DS. As far as puzzle platformers are concerned, Boxboy is a breath of fresh air and proves that no matter the size or style of game, HAL is always committed to delivering a unique and fun experience with their games. BOXBOY! is a real winner for the eShop. Its simple design and perfectly-balanced difficulty level mean that it's sure to resonate with players of all skill levels, and whether it's being chipped away at during morning commutes or digested in its entirety over a weekend, Qbby's tale shows that a minimalistic game can be just as satisfying as a triple-A title. Boxboy! is confident, assured programming. It's brave to make a puzzle game in which players control a box with two little slits for eyes. It requires the confidence of the entire development team that they're going to be able to imbue character into the experience despite the minimalism, and that the level design and puzzles would be interesting enough in their own right to maintain the player's interest. HAL has succeed in doing just that, and the Boxboy! development team was justified in their confidence. BoxBoy doesn’t set the world on fire, but it might be the best game ever that sold on launch day for just $4.99. The puzzle platformer provides a challenge with an interesting aesthetic and plenty of game to warrant the purchase. Must have for 3DS owners. What BOXBOY! lacks in visuals and style, it makes up for with complex level design and intricate gameplay that will keep your brain churning for hours. It may not replace any of the bigger puzzle games out there, but HAL Laboratory's little box opus brings some good, easily addictive puzzle entertainment. BOXBOY! is an outstanding puzzle game that utilizes an original and creative idea, resulting in some of the most well-designed challenges seen on Nintendo 3DS. BOXBOY! 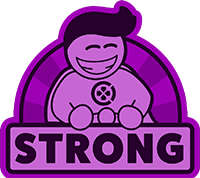 is a solid puzzle game with touches of platforming mixed in that puzzle game fans should check out. It doesn't reinvent the wheel of the genre or leave a lasting impression, but it's a fun way to tease your brain and enjoy some clever puzzle designs. If you don't find yourself enjoying puzzle games, BOXBOY! will probably be a pass for you, but for those of us who enjoy a good challenge, BOXBOY! is a worthy addition to your 3DS eShop library. 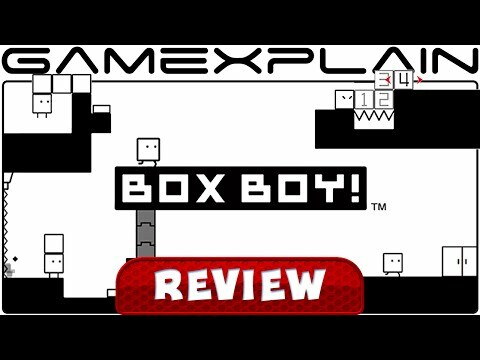 Box Boy is a charming game that can provide a nice challenge and is affordable to boot. If you like puzzlers and subscribe to the philosophy of gameplay over graphics, you'll want to give this game a look.